Come on over and join us! 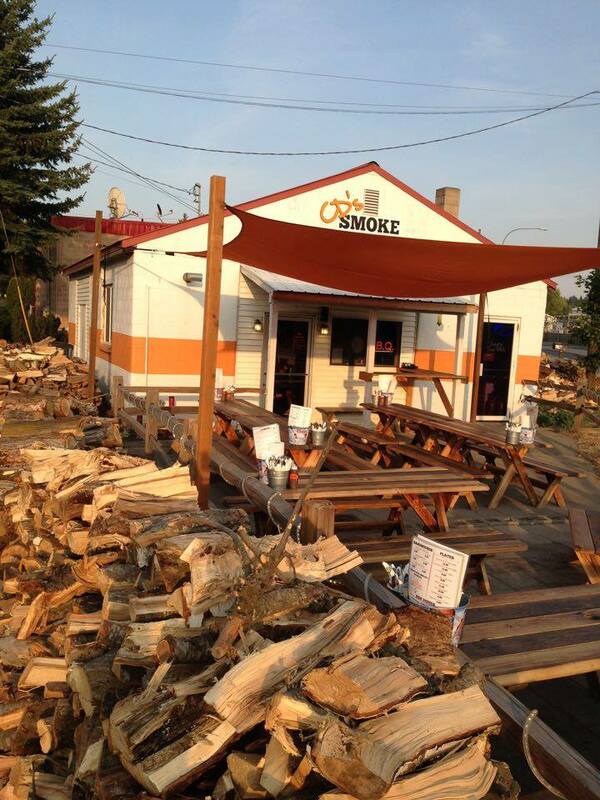 CD’s Smoke Pit has much more to offer than just your BBQ fix. We have a cozy dine-inside area and a great seasonal open-air patio, perfect for enjoying our several beers on tap with a group of your friends. We serve our meals with homemade sides, fresh baked rolls from Ladybug Creations in Moscow, and it’s served by the happiest staff in town. Come in, grab a soda or beer, and stay a while. Our parking is on the street or in the parking lot across Veatch St. Don’t have time to stick around? Take it to go! Check out our menu and feel free to swing by or place an order over the phone (208-882-2656)! We have tons of daily deals! Make sure to “like” us on Facebook, so you can follow our smokin’ good specials.